best. dinner. ever. | eat. play. sleep. You simply have to make this! 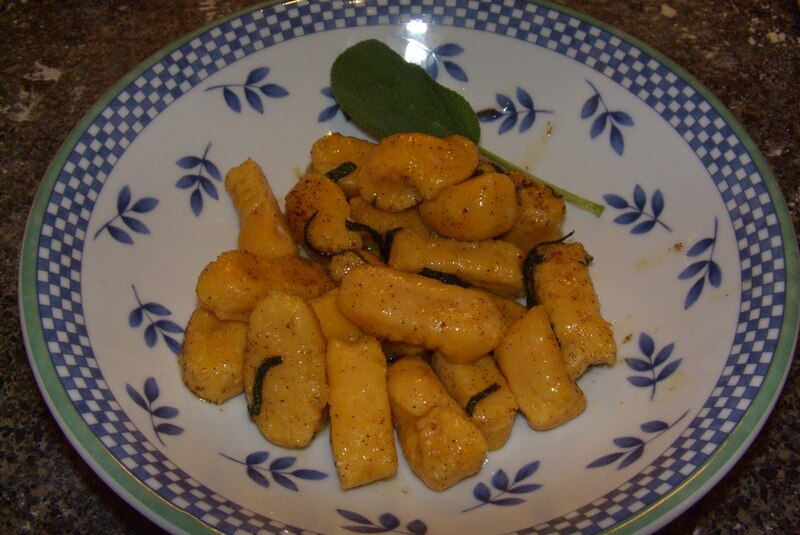 Gnocchi are one of those foods that kind of scared me (rather like bread used to scare me). The recipes are always long and seem too complicated. 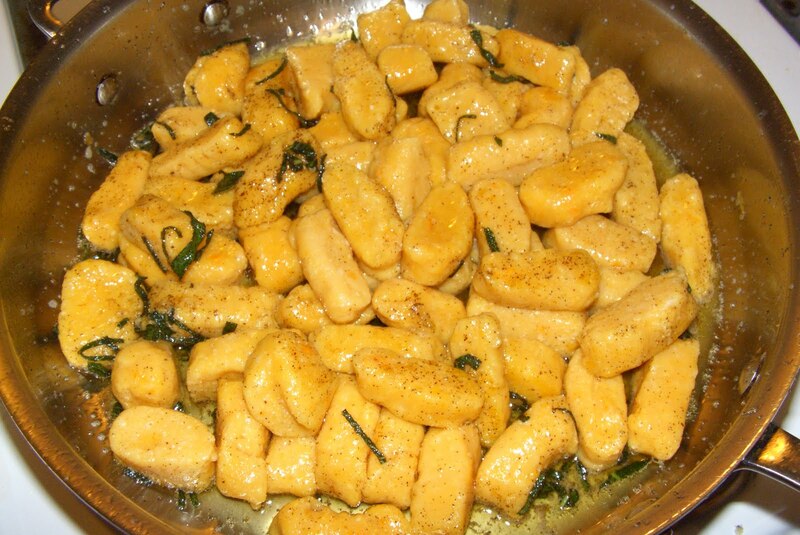 Why not just get the packaged gnocchi at Trader Joe’s? 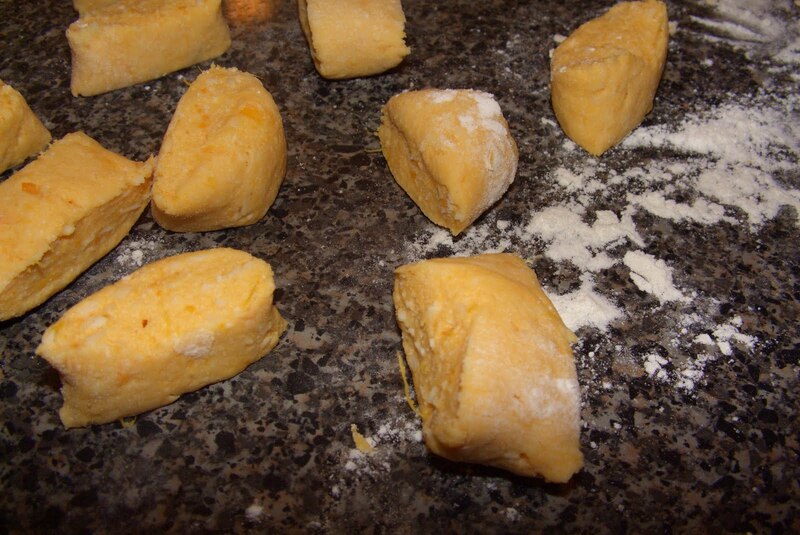 Because homemade gnocchi are SO worth it! And they are so easy! True, there was some prep work (cook the sweet potato ahead of time, let it cool, drain the ricotta). But the actual hands on time was pretty minimal. 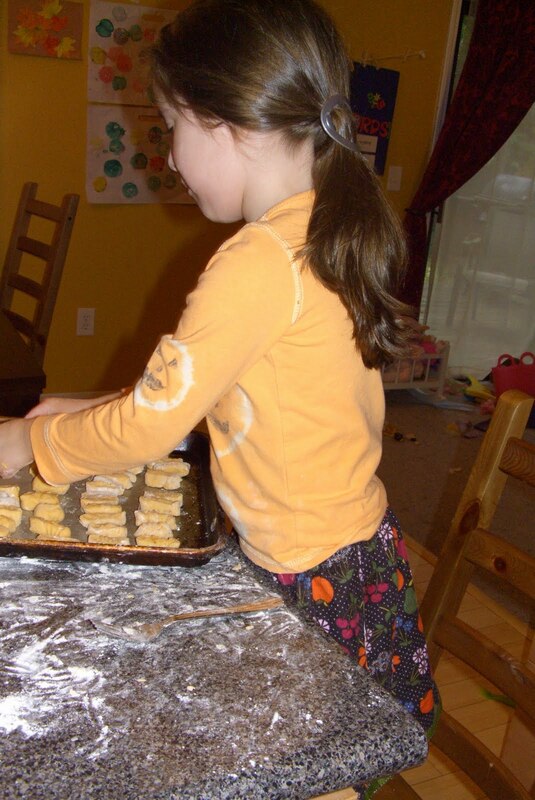 It helped that I had a little helper to roll the gnocchi over the fork, but honestly, you could just skip that part if you wanted too. I cut this recipe in half and it was perfect for the 4 of us, plus a little extra (which I reheated in a skillet on the stove). The girls gobbled these up. These dumplings have a light texture, thanks to the addition of fresh ricotta cheese. Drain the ricotta in a sieve for two hours before starting the recipe.